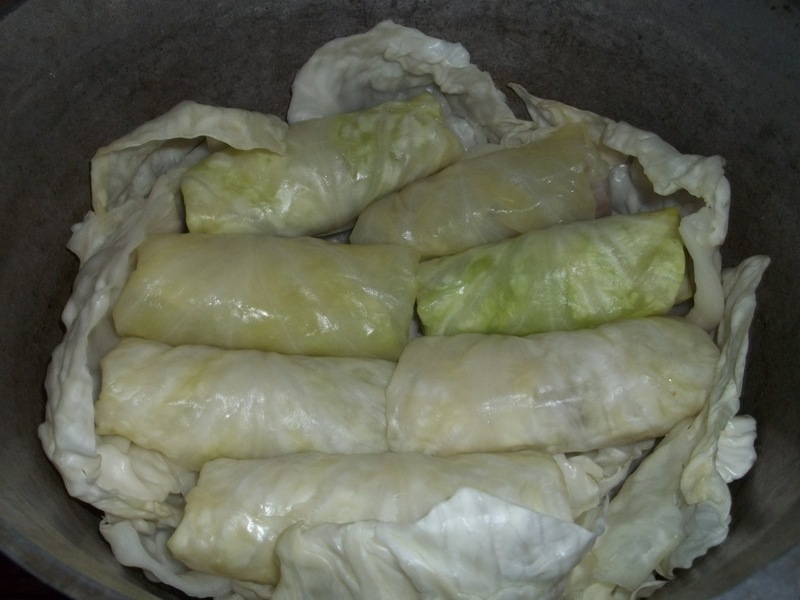 Tolma (Georgian: კომბოსტოს ტოლმა), known as Dolma in Armenia, Azerbaijan and Turkey, is a popular meal in Georgia and many other countries and there are many variations. It usually describes a filled, hollowed-out vegetable or a filling wrapped in a leaf. Vegetables used to contain a filling include tomato, eggplant, pepper, apple and zucchini. 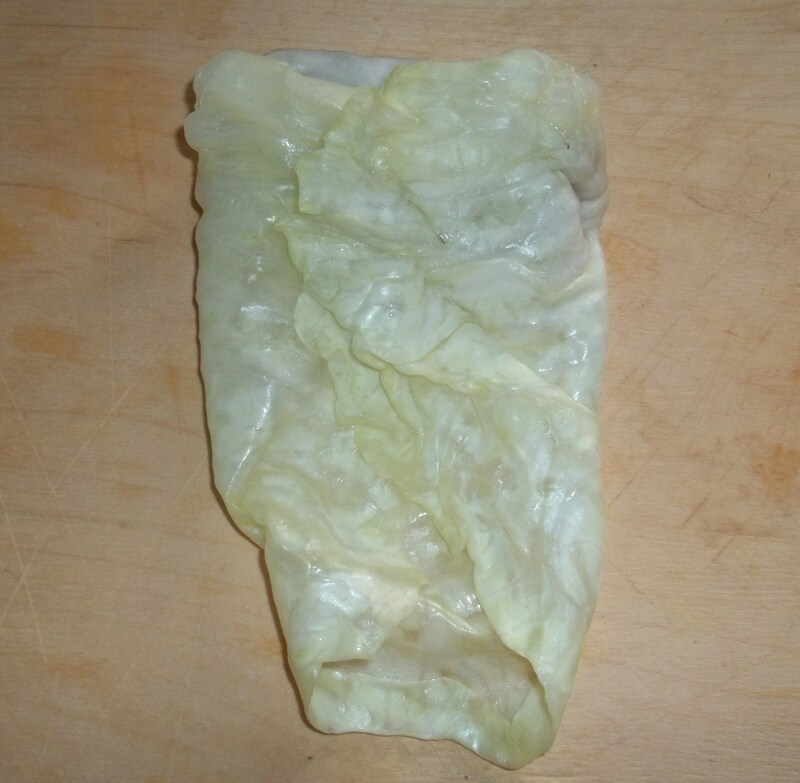 Leaf wrappings include vine and cabbage. In Georgia, three types are popular: fillings wrapped in cabbage or vine leaves and stuffed peppers. To see a recipe for stuffed peppers click here. 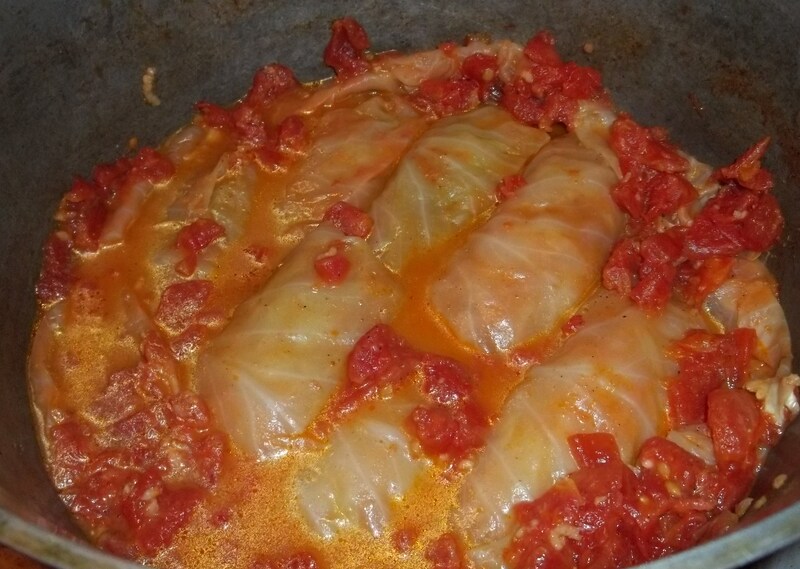 In this recipe we will show how to make Georgian stuffed cabbage leaves. 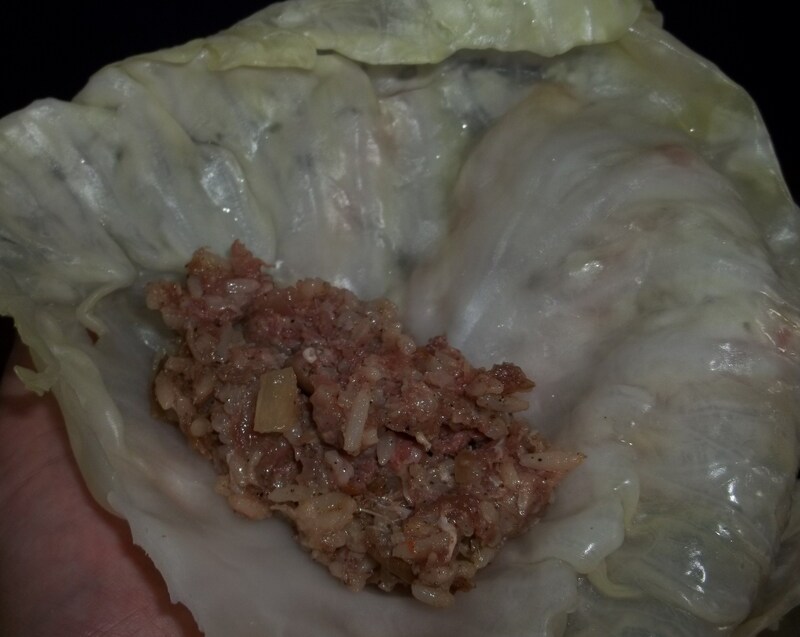 Ingredients (up to 15 tolmas): 1 medium size cabbage, 300 grams of ground beef/pork mix, 80 grams of rice, 2 cloves of garlic (we used 1 very large one), 2 large onions, 2 large tomatoes, 3 table spoons of sour cream, 3 bay leaves, black pepper, 1 tsp of blue fenugreek, 1 tsp of dried coriander, salt and 30 ml of oil. 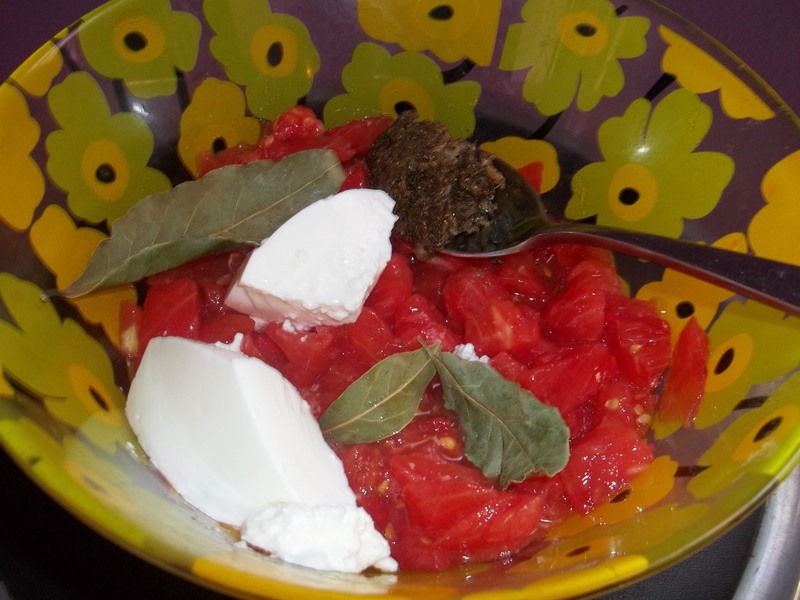 Preparation: Add the garlic and all spices and salt to a mortar and crush with a pestle..
Cut the tomatoes into medium slices and add to a mixing bowl with half of the crushed garlic and spice mixture, a bay leaf and sour cream. Mix all ingredients with a spoon, ensuring that the sour cream is thoroughly mixed in. Then add half a liter of water and 1 tbs of oil and mix again. When finished, put the bowl to one side. Boil the rice in salty water, being careful not to over-boil it. Chop and fry the onions in oil. 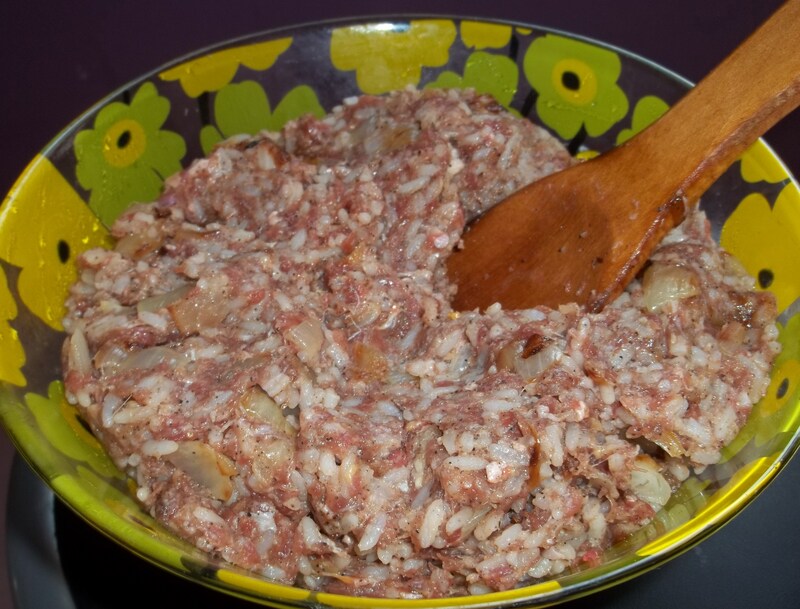 Add the cooked rice and onions to a mixing bowl. Add the meat and the remaining half of the crushed garlic and spice mixture. Mix all ingredients until they look like the picture below. 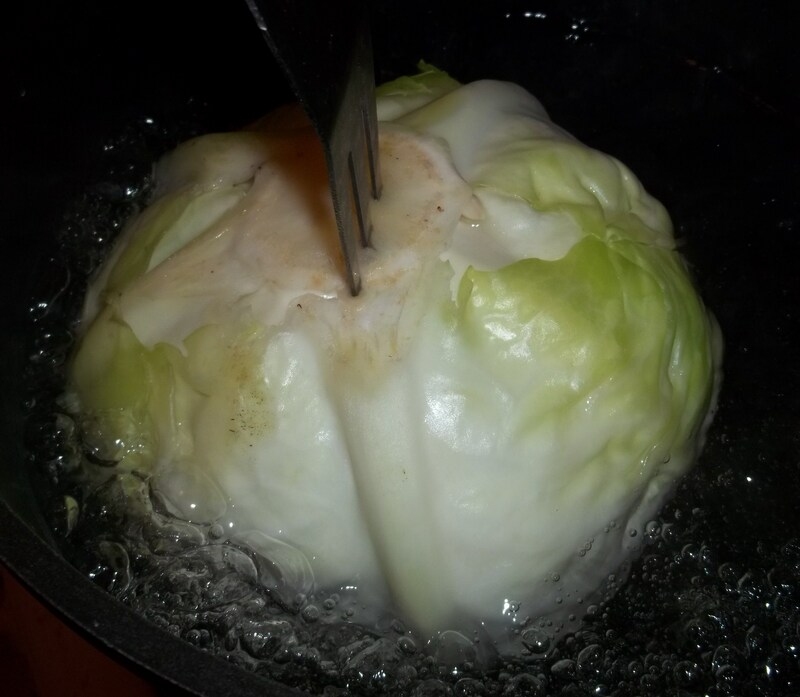 Boil water in a deep (preferably a cast iron) pan, add 1 tbs of salt and add the cabbage. Leave in the water for 5 minutes. 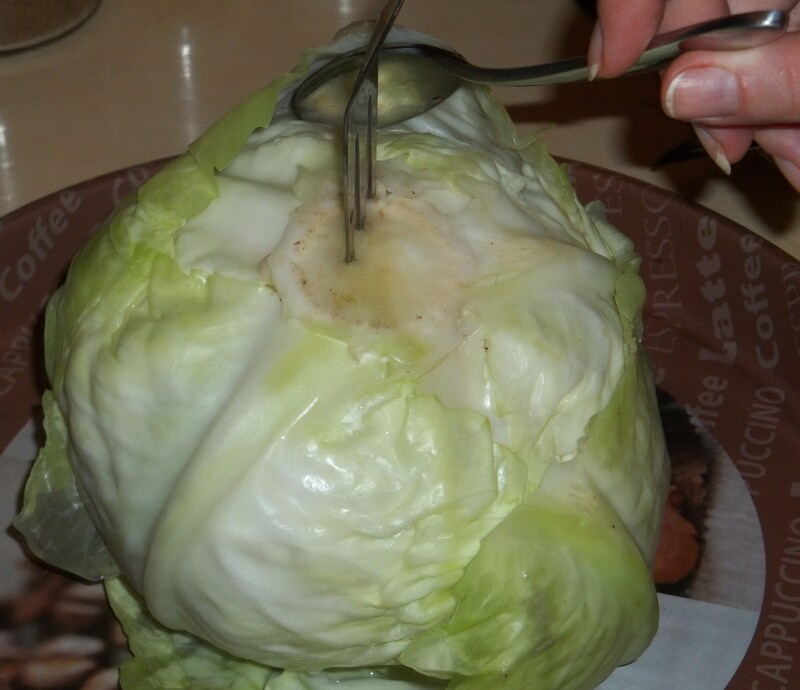 The aim is to soften the cabbage leaves not boil them. 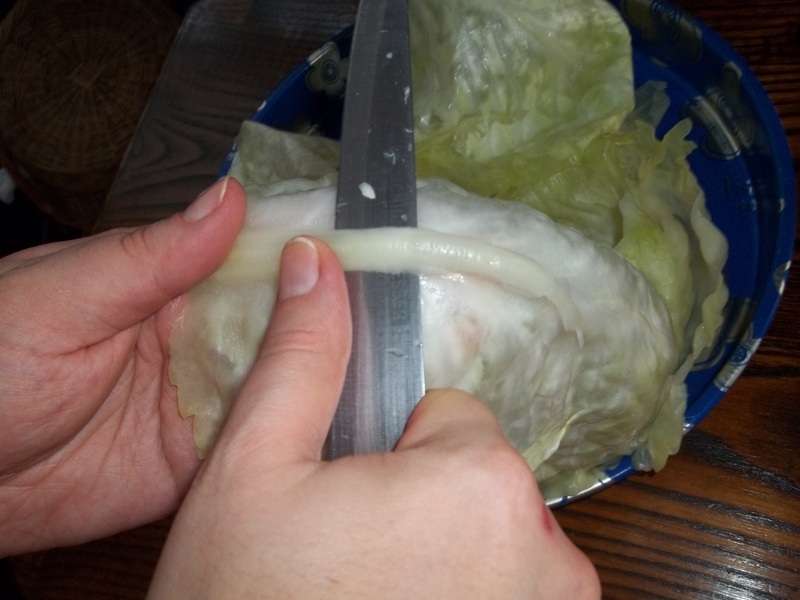 Rotate the cabbage to enable all of the leaf area to soften. 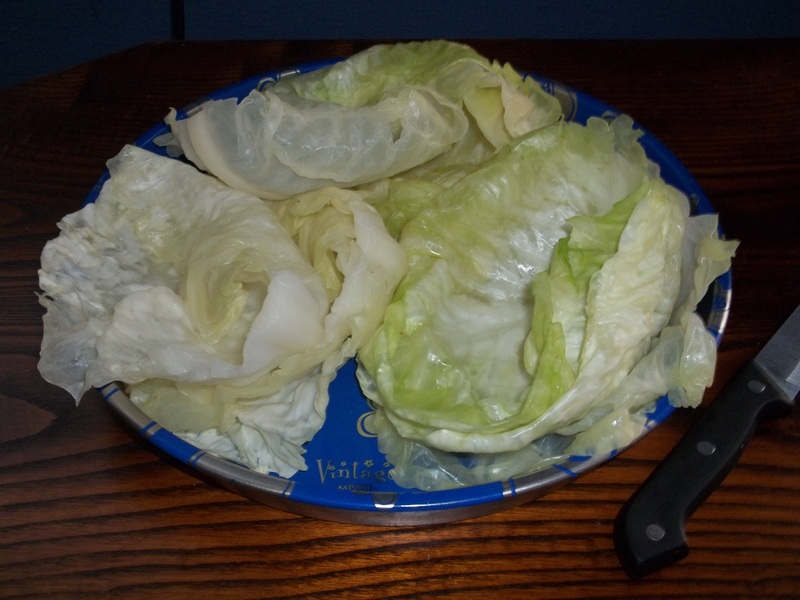 Remove the cabbage from the pan and carefully peel off the leaves using the back of a spoon. Cut the ‘spines’ from the leaves. Be careful not to cut the leaf. The prepared leaves should look like the picture below. Place 1.5 tbs of the mixture in each leaf. Wrap the sides of the leaf around the mixture. The wrapped ‘parcel’ should look like the picture below. Carefully roll up the ‘parcel’ length ways so that they look like the ones in the picture below. 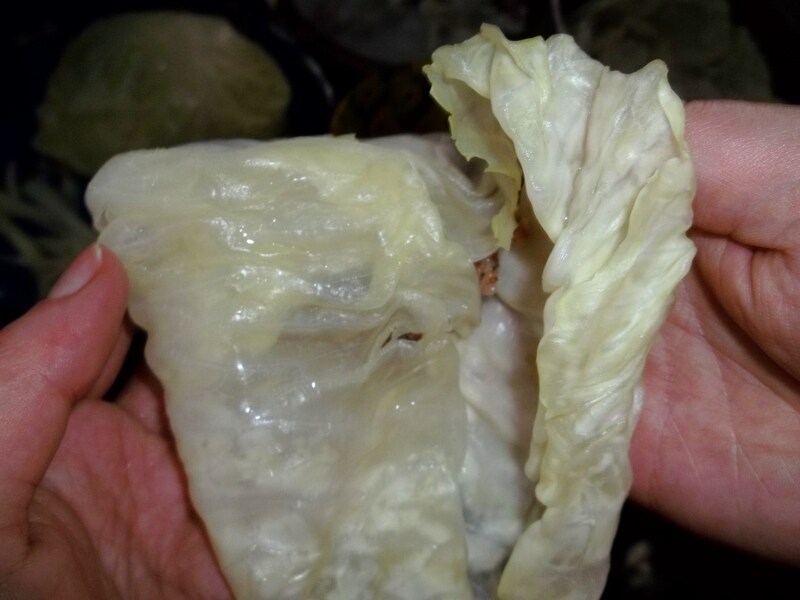 Line a deep pot with cabbage leaves to form a ‘nest’ that will protect the rolled up leaves and carefully place the rolled up tolma in the ‘nest’. 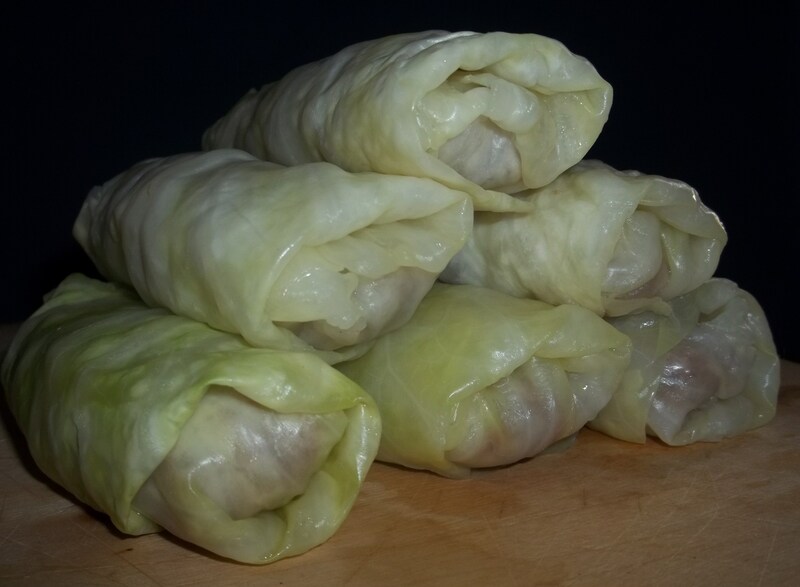 Cover the rolled up tolma with more cabbage leaves and cover with a bowl. 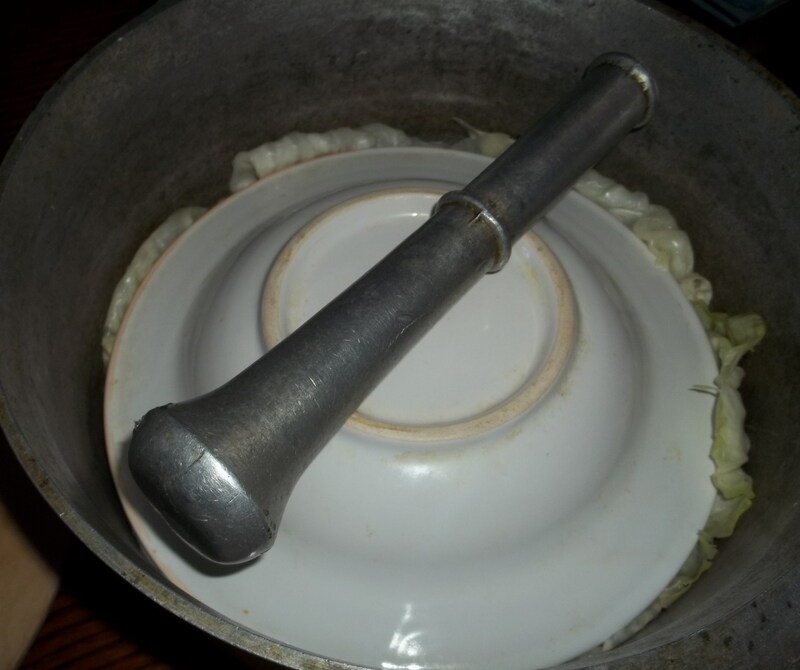 Weight the bowl – we used a heavy pestle. 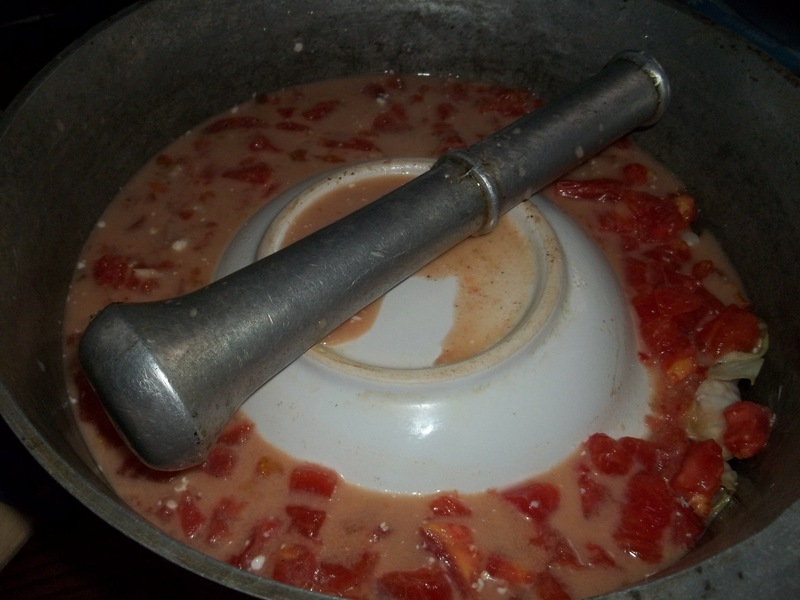 Pour in the tomato and sour cream mixture and cover the pot. Boil the ingredients and then allow to simmer for 50 minutes. 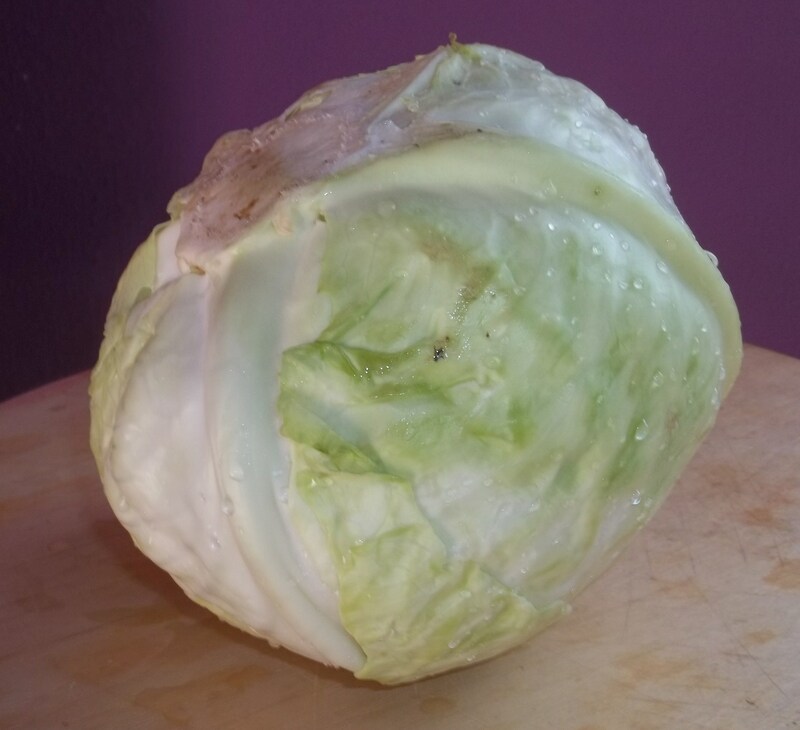 It may need a little longer (depending on the cabbage). When cooked, the tolma should look like the picture above. 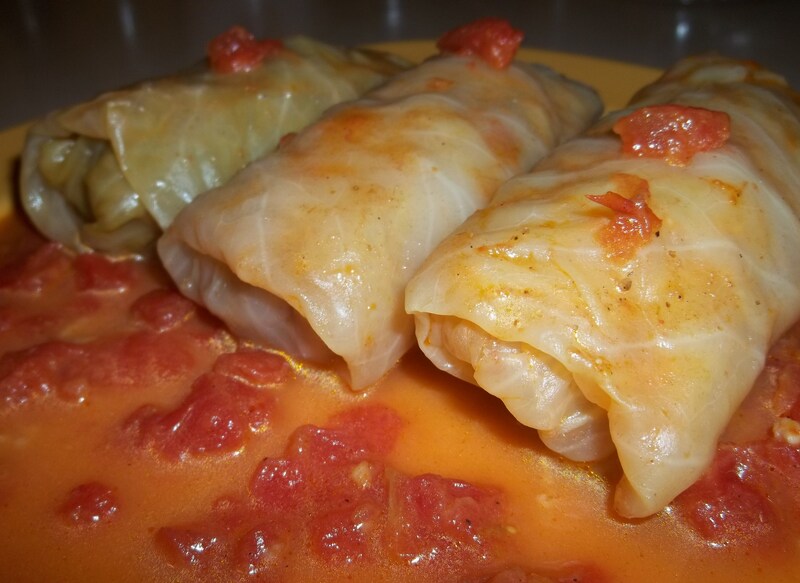 Serving: The stuffed cabbage leaves should be served hot or warm. Georgians eat them with sour cream. 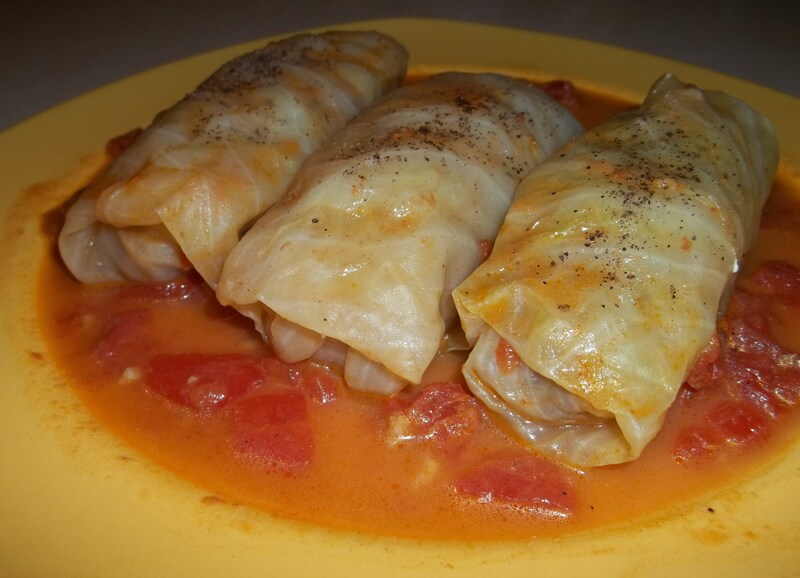 Enjoy your stuffed cabbage leaves! I have watched my mom and grandma prepare it in Georgia. 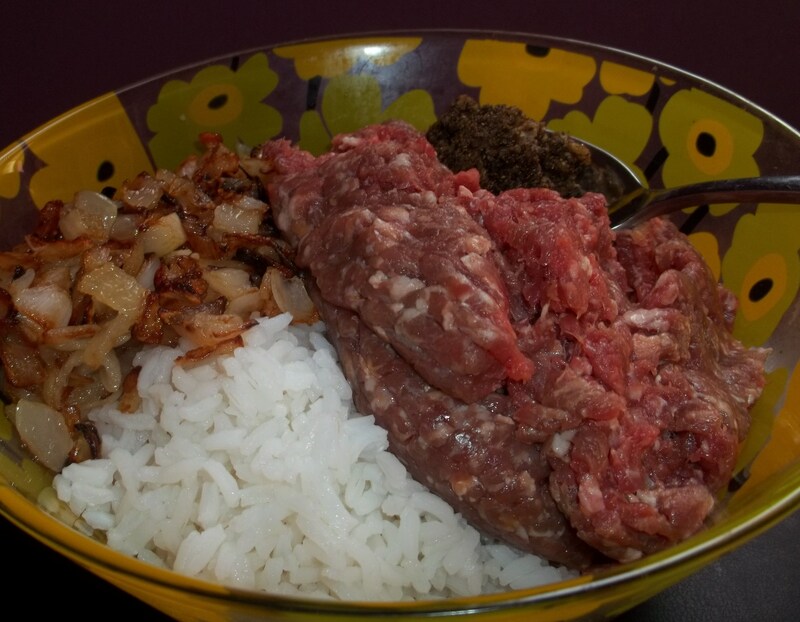 They prepared same way, except they didn’t use already boiled, soft rice with the raw meat. They boiled rice in a salt water only 1 minute, then added to a mixture and let it boil along with meat, wrapped in cabbage. 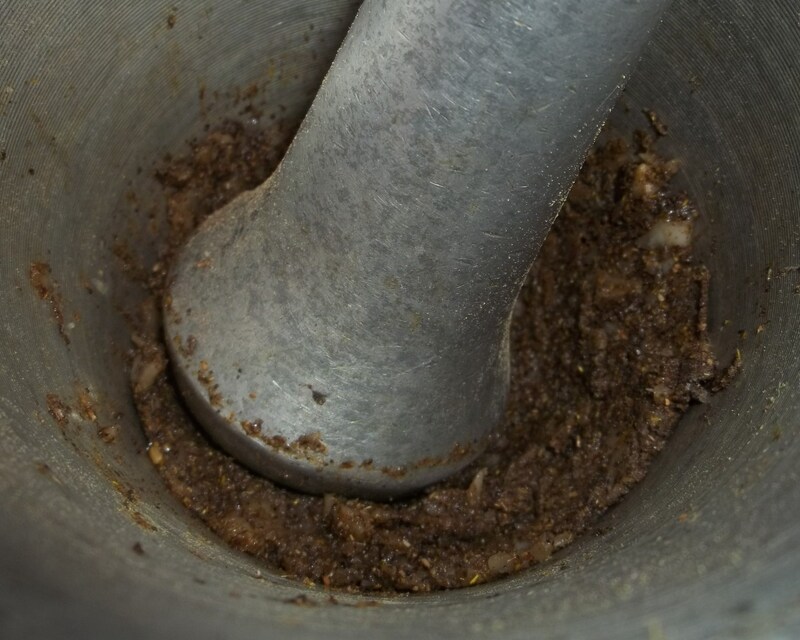 Also ground beef mixture always had parley too along with coriander. My husbands mother did the same way. She also added a lot of parsley and many other green herbs.